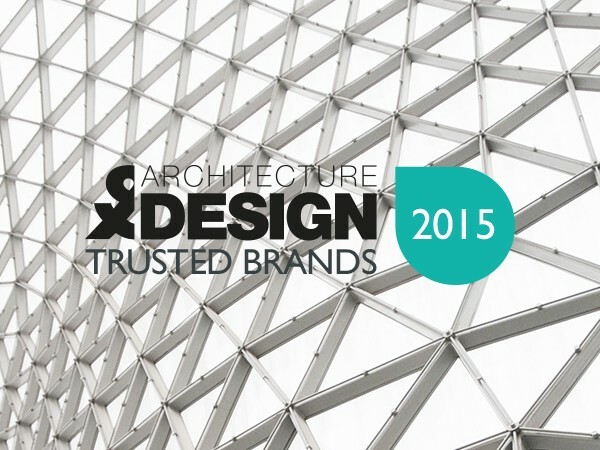 Architecture & Design is once again running a major industry poll of the brands which architects, builders, designers and other professional specifiers feel they can rely upon the most. All eligible voters will go in the draw to win an iPad Air 2 from Apple when they register their details and tell us in 25 words or less who is their top Trusted Brand, and why. This is the third time Cirrus Media will run the survey of its readership - Australia’s largest Architectural, Design and Building industry audience - across Infolink Building Products News magazine and all of Architecture & Design’s digital and social media channels. The survey aims to rank the trustworthiness of brands and showcase them within the industry. In 2014, the program received more than 7,000 votes, with the market determining the winners in a range of product categories. Companies compete for a coveted place in the Top 10 Trusted Brands, with Blum Australia named number one for 2014, leaping into the top spot to displace Dulux, who were number one in 2012 and a respectable third place in 2014, number two being Bosch Hot Water and Heating. Hundreds of readers provided glowing reviews of the brands, sharing remarks upon the quality of products and services. According to the many responses, warranties are one highly valued factor. Some of the other most popular and telling terms to appear included: “reliable”, “dependable”, “superior”, “durable”, “hassle-free”, “well-designed” and “innovative”. Who will make your list? Some of the previous Top Trusted Brands are: 3M, Bluescope Steel, Blum Australia, Bosch Hot Water, Boral Timber, Brightgreen, CSR Bradford Insulation, CSR Gyprock, Caroma, Dulux Australia, Dyson Appliances, Hafele Australia, Kingspan Insulation, Laminex Group, SAS International, Vergola, Viridian. Each voter gets 10 votes to apply to 10 brands they believe are their top trusted. They can choose to use one or all 10 votes, but only one vote per brand is counted.